Ever dreamt of making a fortune? 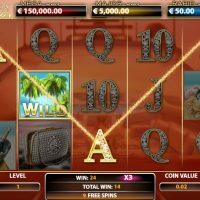 Now you can make it a reality with Mega Fortune Dreams, the new slot game from NetEnt. 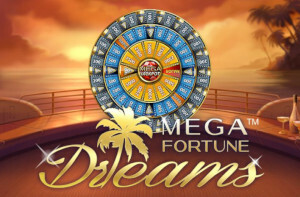 Mega Fortune Dreams is the sequel to the ever-popular Mega Fortune slot. Regular players will know the original as the most popular jackpot slot on the planet and Mega Fortune Dreams brings even more to the table. Start from as little as 20p and work your way to the life of a rich person. Unlike the slot, there are no prizes for guessing what the theme is for this one. Yes, it’s luxury! All the symbols represent expensive items and if you win the jackpot, you could have enough to buy them all. The Free Spin feature takes you from 10 free spins and a 3x multiplier to a huge 8x multiplier. There’s also a Bonus feature with the aim of progressing through the 3 bonus wheels to win 1 of 3 progressive jackpots. Like the original, the big prize is the Mega Jackpot and you know what that means: hundreds of thousands if not millions of £/€! Bet anywhere from £0.20 to £80 per spin. There’s also an auto play function that gives you 1000 automatic spins. The low level symbols are standard: 10, J, Q, K, and A. The higher level symbols are a glass of champagne, two bottles of champers in a bucket of ice, a diamond-encrusted handbag, a watch, and a diamond ring. 5 of the rings on a payline wins you 2000x your stake. No wonder they’re a girl’s best friend but whatever your gender, you’ll be loving that prize! The Wild Symbol in Mega Fortune Dreams is a pair of palm trees. They can appear on any reel, in the main game or the Free Spins round. In classic Wild fashion, they substitute for all symbols except Scatters and Bonus symbols. 5 Wilds on a payline win you 5000x your stake. Those Wilds become sticky and remain so when triggered during a Free Spins round. Mega Fortune Dreams’s Scatter Symbol is another diamond but this one activates the Free Spins round when you fall on 3 or more. 3 give you 10, 4 give you 15, and 5 give you 20 free spins. The Bonus round is activated when you land on 3 or more Bonus symbols anywhere on the 3rd, 4th, and 5th reels. This is where you get the chance to win the jackpot. Each spin of the wheel can win you a prize in some way. 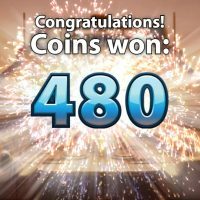 If you land on an arrow, you move onto the next inner wheel where the prizes get bigger until you reach the “bullseye” – the Mega Jackpot! The house edge stands at 3.4% which makes sense with the high volatility of this progressive slot. Bring your A-game and a large bankroll! Mega Fortune Dreams is for the big players. The people who want to take a risk to win a jackpot and laugh all the way to the bank. 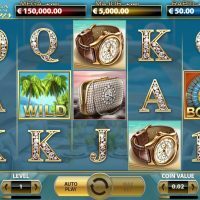 It’s packed to the brim with lucrative features – Wilds that can give you 5000x your bet, Scatters that give you Free Spins to win even more, and the Bonus round that leads to the Mega Jackpot. As we said before, this is the for the big players and that means a big enough bankroll to play your way through the game. Mega Fortune Dreams has changed lives though. Jackpots of over €2m and £3m have been won in the past. Told you: dreams can come true with this slot game. Just make sure to keep your eyes open this time!